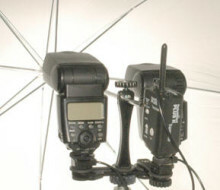 Allows you to mount two strobes to your lightstand with an Umbrella. 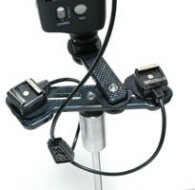 Portable studio quality lighting , that’s totally portable. 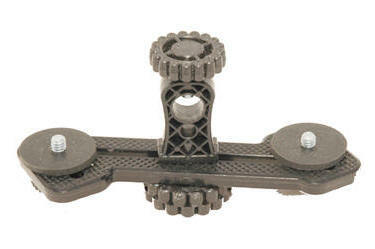 Small enough to tuck the bracket away in your camera bag. Fills your umbrella with light and more coverage. 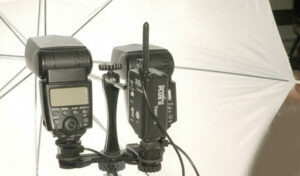 Two strobes really fill your umbrella. Two strobes means half the recycle time ( with the same power) on 1/2 power setting. The increase of power will also give you better F stop settings. This unit is small enough to pack away in your camera bag and will provide you with years of trouble free service.